Please note: We moved in late 2017. If you haven't been to visit us since we left our Arapaho Road address, contact us via e-mail, the form at the bottom of this page, or phone for our new address as it is not published publicly. The Arkenstone is always happy to welcome visitors to our galleries in Dallas, Texas or Shanghai, China or work with customers on consulting, photography, or custom base-making. For general inquiries, please contact info@iRocks.com. 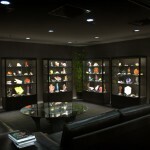 We welcome visitors to The Arkenstone Gallery Dallas by appointment. The Dallas Gallery also is home to our corporate offices, photography studios, base-making lab, and some of our warehouse space. 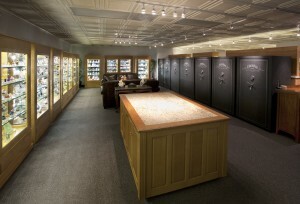 Please contact us at gallery@iRocks.com to schedule a private appointment. You may also reach us by phone during normal business hours at (972) 437-2492 or by fax, (972) 437-4644, but e-mail is generally the quickest way to reach us as we travel frequently. Our Shanghai Gallery opened in 2013. If you find yourself in Asia, you're welcome to come by to visit! Our iRocks.com and MineralAuctions.com sites are run by different staff. 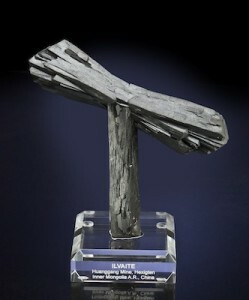 Please visit the MineralAuctions.com site for contact details. Our custom base-making lab can make lucite bases for your fine mineral specimens to ensure that your favorite pieces are safely and aesthetically displayed. Each base is tailor-made by hand to fit your specimens in our fully-equipped lab. Custom engraving is included. For pricing, ordering, or volume discount requests, contact bases@iRocks.com. For other questions or comments, please contact us at info@iRocks.com. Need collection consulting assistance? We're always available to help! Looking for permission to use our images? In most situations, we're happy to provide images for your use. Just ask us first! Want to know where else you can find our fine minerals on exhibit? They're across the globe, and we'll be happy to tell you where. We're always looking to make your web experience better. If you're having difficulties with any portion of the site, or if you have content suggestions, don't hesitate to let us know how we can improve. You can contact us by using the form below.